Hello, Silicon Valley, welcome to my world. The real world. Welcome to the world of demagogues, of crowds with pitchforks, of mobs with torches. They’re coming for you. Do you hear them? They’re outside your window, braying for blood. Your blood. For thirty years, you’ve been aslumber, warm in your Palo Alto beds, safe in your knowledge that no politician would bother you. Politicians didn’t care, not because they were too stupid to understand the technology you were creating (although that was indeed the case), but because they thought it was too unimportant to even warrant their attention. It was cute. It was a joke. And, when you think about it, weren’t they right? What important thing had you ever done, for anyone, ever? Apple was founded by two hippies, whose original business innovation was to sell computers which were almost, but not quite, ready for use right out of the box. Intel’s idea was to make transistors out of silicon. Forget about whether any government official, anywhere, knew what a transistor was. Had any ever heard the word “silicon?” And of those that did, how many thought it was the stuff in their mistresses’ breast implants? What about the internet? It’s remembered today, incorrectly, as a stepchild of military R&D projects, but in fact it was dreamed up by starry-eyed academics, as a combination of an inter-university messaging system, and a way to cross-reference academic papers more easily. How exciting. Yahoo was a web page. You heard that right. A page. One. Two dudes in a room put a bunch of links together in one place. Alta Vista was a search engine. It looked for matching words on that hippy-dippy academic publishing platform. Google’s original business plan to to be another search engine, to supplement the one that already existed and that nobody cared about. I could go on, but why bother. You see the point. Silicon Valley was left alone by the people in power, because power only cares about things that matter. Silicon Valley didn’t matter. It was pointless. When I look at those covers, you know what I think? I think: there’s a guy without a prom date. Which made everyone happy — writers, editors, readers — because, sure, that dork made $350 million dollars doing some weird thing no one quite understood, but look at his glasses, for godsake. Silicon Valley, it was a fun forty years, give or take. You were left alone in your little world, building your cute and pointless technologies. A few of you made a hundred million here, a hundred million there — all rather mysteriously — and no one begrudged it, because you were social incompetents — you weren’t able to use your riches to get laid — and you knew enough not to bother the politicians. You didn’t ask for permission; you didn’t ask for favors. You stayed out of politics, and politics stayed out of you. So you need a little help to get your industry off the ground? What a difference a few decades make. Silicon Valley has gone from political afterthought, to political mover and shaker. No longer content to be left alone, no longer willing to stand apart from politics, Silicon Valley has blundered into the political arena, bringing with it wealth and influence, trying to extract favors and cash. 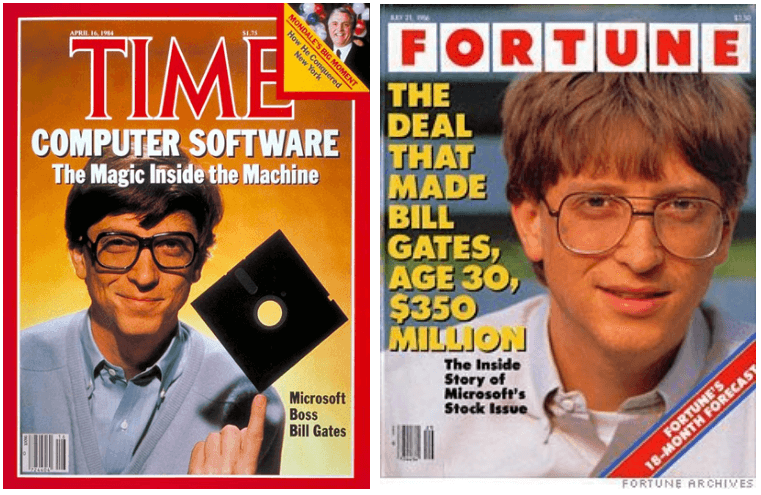 Who is the poster child for Silicon Valley right now? Who is its wunderkind? Is it some nebbish dork with bad posture, and spindly arms, and a lack of political talent? 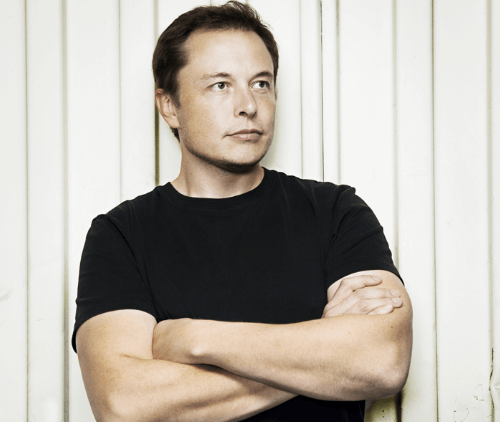 It is Elon Musk, our own real-life Tony Stark, who, through sheer force of will, and with awesome muscular guns popping out of his tee-shirt, runs not one, not two, not three… but four famous technology companies, which sport a combined market value north of $70 billion dollars. Except: here’s the thing about our super-hero. Just like his fictional alter-ego, Tony Stark, Musk made most of his fortune sucking at the teat of the government. Tesla Motors, his most famous company, would not exist without government subsidies. The U.S. government has paid $7,500 to Tesla each time it sells a car to a rich person. Perhaps you consider it unfair that every U.S. taxpayer — regardless of whether that taxpayer is wealthy, or middle class, or poor — is forced to pay money to a Silicon Valley firm each time it sells a product to a wealthy consumer. If you do think it unfair, then you are in the minority, because California legislators, worried about the potential loss of that federal subsidy, are doubling down, and considering methods of extending it within the State Of California. Musk’s other company, SpaceX, for all its bluster about putting colonies on Mars, and protecting the human species from asteroid-induced extinction, has one primary customer. Is that customer another technology company, interested in building high-tech labs in space? Is that customer an entrepreneur, with exciting dreams of starting a lunar mining operation? Uh, no. That customer is you and me — a.k.a. the U.S. government, which has kept SpaceX afloat by pumping $5.5 billion taxpayer dollars into it. Now, listen, before you post your devastating 140-character take-down of this article, let me say flat-out that I’m enthralled by Musk’s dreams; and think that nothing happening within the human species today is as exciting, or as important, as the goal of turning humans into a space-faring civilization. To paraphrase Aeschylus, “Live by the sword; die by the sword.” If you make your fortune extracting wealth from the general population around you, and distributing it to your pet cause, regardless of how noble that cause may be, you should expect the population to come knocking. And knocking the mob will come. Maybe not immediately, but soon enough. In what form will Musk be undone? Will it be in the form of an investigation by securities regulators into accounting irregularities? Or will it be more benign: social derision within the blogosphere, jokes on the late-night talk shows? When Tesla can no longer find a greater fool to fund its cash-burning operations, either through equity or debt financing, and when it collapses (or is bought by another firm for a sliver of today’s value) what will Jimmy Kimmel say? Which memes will loop endlessly on Twitter, showing Musk in some ridiculous pose? 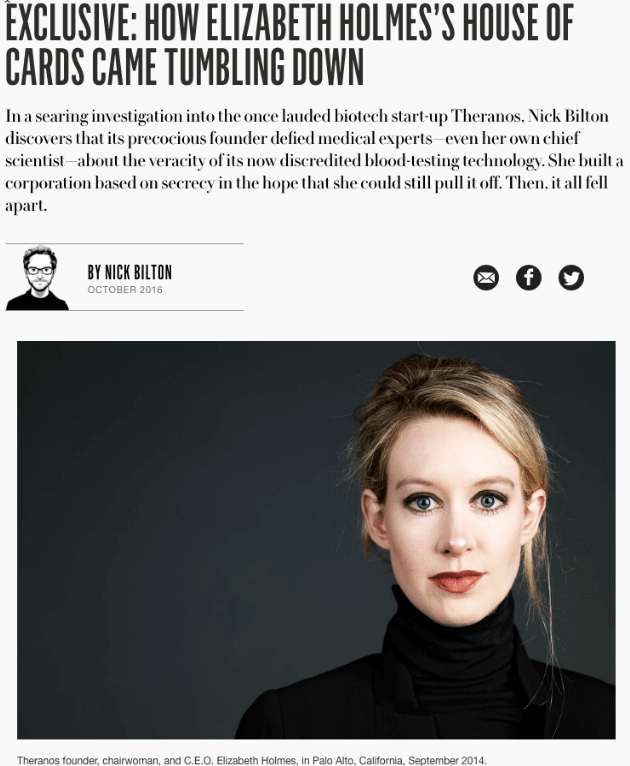 You remember Elizabeth Holmes? She had a moment of glory when her startup, Theranos, funded by all-star VCs and with a board of directors that read like a Who’s Who of the rich and powerful, was valued at billions of dollars. Theranos proclaimed that it had developed a radical new technology which would replace traditional blood tests with mere finger pricks! Except, the chief scientist of the firm apparently took his own life, and then, soon after, it was revealed that the technology didn’t actually, you know, exist. And Holmes was banned from the blood-testing industry (a significant setback to an executive running a blood-testing firm), the firm was sued by investors and business partners, and Holmes’ net worth went from billions to… well, the value of a few black turtlenecks in a closet. So my goal isn’t to castigate Holmes, nor to make excuses for her. It is to point out that the mobs with pitchforks came for her. They came for her because she wasn’t making a cute little pointless technology like a video game, or virtual reality glasses. She was diagnosing diseases. She held people’s lives in her hands. But not only that. The mob came for her because Silicon Valley today is fair game. It’s fair game, because Silicon Valley has made the collective decision to enter the political arena. It’s not just guys like Elon Musk, whose entire complex business model and operational process can be distilled down to two words: Government Subsidy. Question: Which two firms spent the most money lobbying for, and are most interested in, government regulation of the Internet? Answer: Google and Netflix are the largest champions of requiring the government to set the price of internet bandwidth usage. Is it any coincidence that both companies benefit the most from subsidized bandwidth costs? Again, hold off on the Twitter criticism for just a moment. Even if you disagree with me, and think Netflix and Google are the good guys, and that their spending millions of dollars on political lobbying is meant to protect scrappy “innovators” from the maws of evil telcos and cable companies — even if you think that, I ask you to consider the implications. Khodorkovsky was an executive at one of the world’s largest petroleum companies. He was the wealthiest man in Russia. Doesn’t he look the part? Khodorkovsky was arrested, enjoyed something nominally like a “trial,” and was sentenced to nine years in medium-security Russian prison. His wealth was confiscated by the state, and was redistributed to the Russia’s ruler, Vladimir Putin, and his cronies. 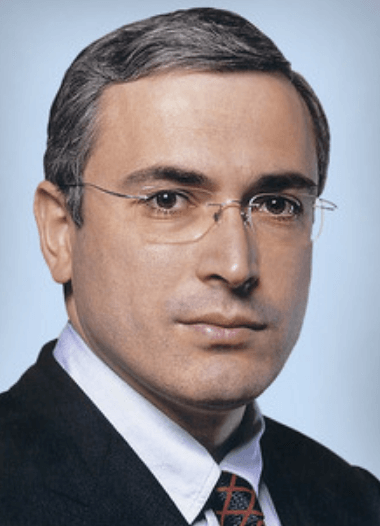 What was Khodorkovsky’s real offense? In 2003, he appeared on television and criticized Putin’s corruption. Nine months later, Khodorkovsky was arrested. What is the lesson for Silicon Valley executives and company founders? Yes, yes, the United States is different than Russia. In the U.S. they don’t exactly throw you in jail for criticizing a leader, or opposing the government. Right? Except Khodorkovsky wasn’t thrown in jail for criticizing Putin. Not technically. His actual offenses were: tax evasion, money-laundering, and embezzlement. Even if he did those things, in post-Soviet Russia, everyone did. Simply put, in Russia, you could not (and still cannot) run a business unless you had a, shall we say, expansive view of the law. Whatever Khodorkovsky did, every single successful person in Russia did. It’s just that, Putin decided to enforce the regulations against Khodorkovsky singularly, and no one else. How does that relate to the United States? Today the U.S. federal government employs 220,000 regulators, who enforce 185,000 written pages of rules. Are you following each and every rule? Are you sure? How would you know if you are? Have you read all 185,000 pages? If not, then you better hurry. Last year, another 4,000 rules were added. And so, like Putin in Russia, the government here in the U.S. has a free “call option” on every business, every enterprise, every endeavor, every person within its borders. I guarantee that, somewhere, somehow, I have broken the law. I guarantee that you have broken the law. I guarantee that Musk has broken the law. And Google. And Netflix. And Facebook. And so, when the mobs with pitchforks come, they can take back whatever they have given, and more. And they can claim you deserve it. What does a mob look like? “The mob with pitchforks” is a metaphor, of course. A grandstanding politician excoriating an executive in televised hearing for the use of a private plane. A prosecutor who comes close to breaking the law himself by making prejudicial statements to the media designed to make it difficult for defendants to receive a fair trial. A presidential hopeful who calls for the arrest of executives because they supposedly — as individuals — caused the bursting of a financial bubble in a fifteen-trillion-dollar economy. A congressman who insists that social-media platforms censor political statements of the opposing party. Editorials calling for “breaking up” Facebook and Amazon as monopolies, because they are too big, and too successful. A sitting president who threatens to raise taxes on tech companies, possibly because one tech executive owns a newspaper that has covered the president unfavorably. People of Silicon Valley: whatever your personal politics, heed my warning. I have personal insights that you do not yet possess. Because I participate in the world’s most-hated industry, “finance” — the industry where it is perfectly acceptable for mobs to call for executive arrests; where CEOs routinely agree to multi-million-dollar fines as a cost of doing business, rather than fighting them; where a small company such as mine (run out of my house) is subjected to subpoenas, surprise audits by regulatory agencies, and endless paperwork and compliance filings — because I live in that world — and because that world is coming soon to you — I encourage you to hear my advice. Remember that when you ask for favors, you will pay a price for them. When you seek self-interested “regulation,” you will receive it. And more. When you request attention, it will be granted. When you blunder onto the stage, the spotlight will follow. Today, only the unlucky Silicon Valley companies fall under politicians’ gaze. Soon others will, too. Remember that today’s popularity is tomorrow’s disfavor. The mobs will begin to ask questions. Demagogues will stoke their passions. The pitchforks and torches are coming. You have awoken a beast. It is stirring. 1 The policy of asking the government to set prices for internet bandwidth consumption, rather than letting market participants negotiate them, is called “net neutrality.” The appropriation of an inncouous-sounding term to describe a whole bundle of regulations, most of which are not related to carrier censorship of content, or restriction of access to small companies, was a p.r. coup.